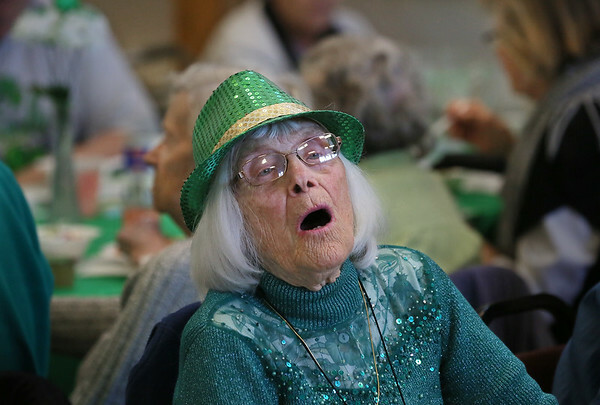 Barbara Maddix sings along to "When Irish Eyes are Smiling" during a St. Patrick's Day luncheon Thursday at the Rose Baker Senior Center in Gloucester. In addition to the musical sing-along, guests enjoyed a traditional Irish dinner of corned beef and cabbage. St. Patrick's Day will be on Saturday, March 17.